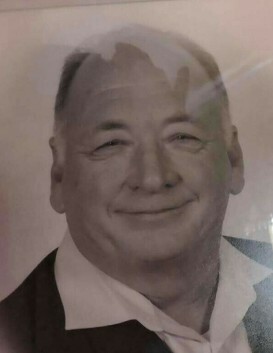 Charles Douglas Fairchild, Sr. passed away on April 2, 2019. He is preceded in death by his father Douglas Fairchild and his mother Hattie Elizabeth McDonald. Charles is survived by his wife Linda D. Fairchild; his children Patricia Louise (Larry) Thomas, Charles Douglas (Joell) Fairchild, Jr., Rosie Elizabeth (Donnie) Wilson, Donald Paul Fairchild, Lydia Marie Hobbs, Rebecca Lynn Downey, Tracy J. Stacy, Jeremy R. (Crystal) Frazier, and Mary LouAnn Endicott; his sister Shirley Ann Sullivan; his brother Floyd McDonald; a host of grandchildren, great-grandchildren, nieces, nephews, and many other loved ones. A funeral service will be held Friday, April 5th, at 1:30pm from the chapel of Kenmar Family Funeral Home. A public visitation will be held on Wednesday, April 3rd, from 5pm until 7pm.